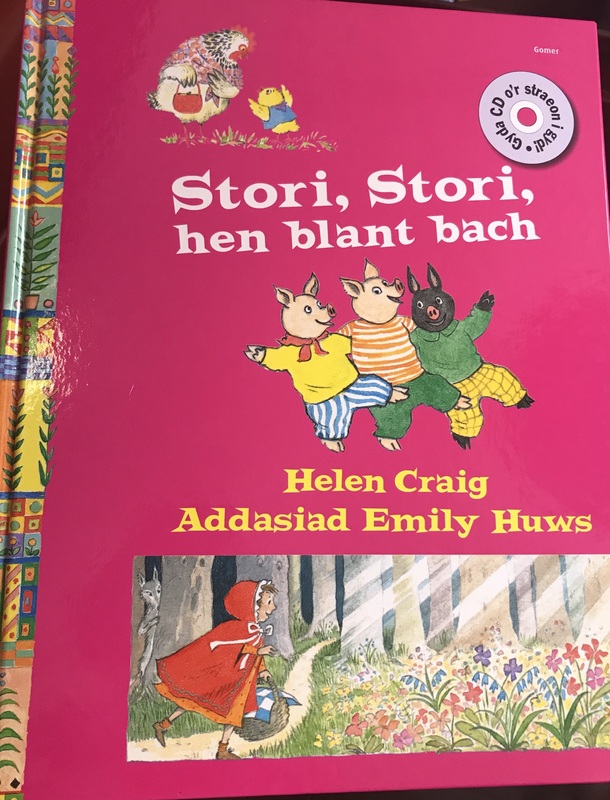 Back in January, I wrote a post on 14 bilingual Welsh and English picture books my children love. 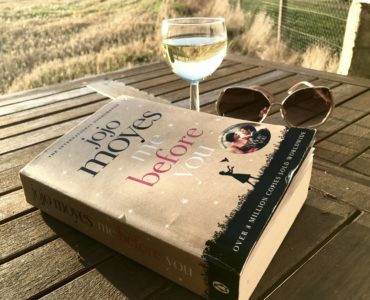 It had a great response from readers of my blog, so I thought it was time for a follow-up, looking at books for children up to the age of eleven. This post, like the previous one, has been written as part of our ambassador role with Cymraeg i Blant, a Welsh Government initiative supporting children in Welsh-medium education and their parents/guardians. 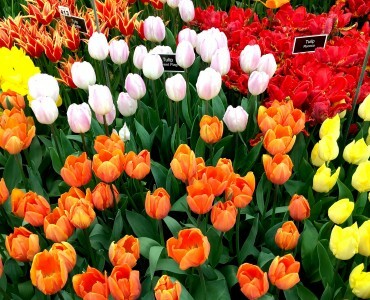 You can catch up with my previous posts here. 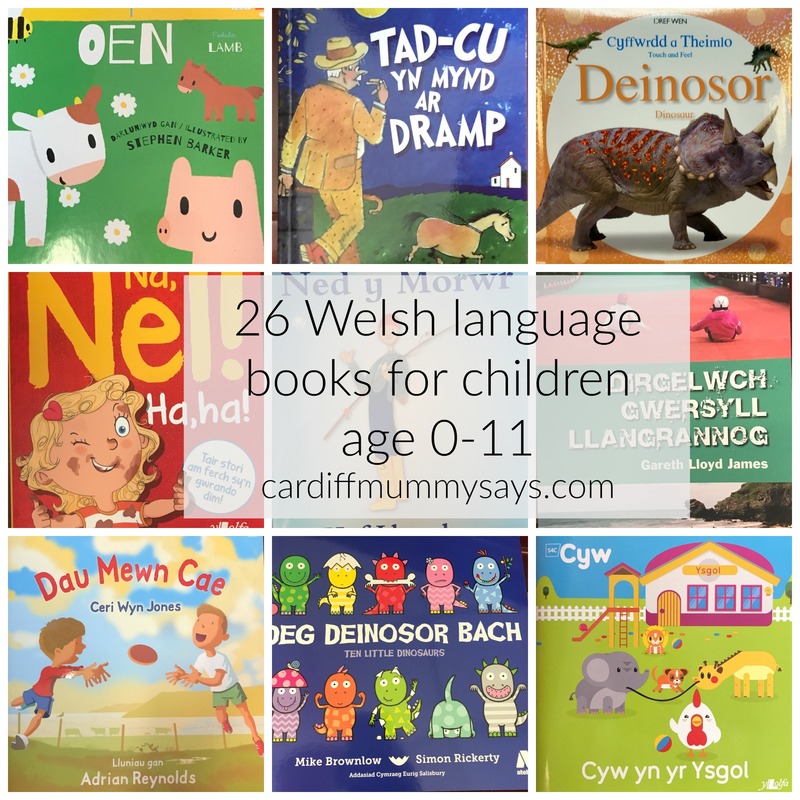 You don’t need me to tell you how important reading with children is… but if you don’t speak Welsh yourself, or your Welsh is a little rusty, knowing where to start with suitable books can be difficult. I asked Jo, the owner of Cant a Mil Vintage for her advice. If you’re local and have not yet been to the eclectic shop on Cardiff’s Whitchurch Road (open Tuesday-Saturday, 10am-5.30pm), then do! 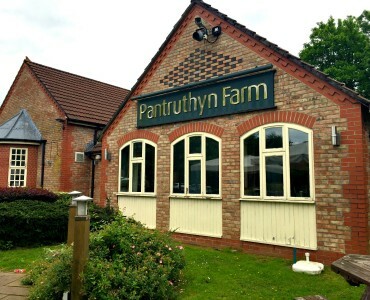 It is part treasure trove of vintage clothing, furniture and accessories, and part Welsh-language book shop, with the back half of the shop dedicated to books for adults and children, as well as CDs and Welsh greetings cards. 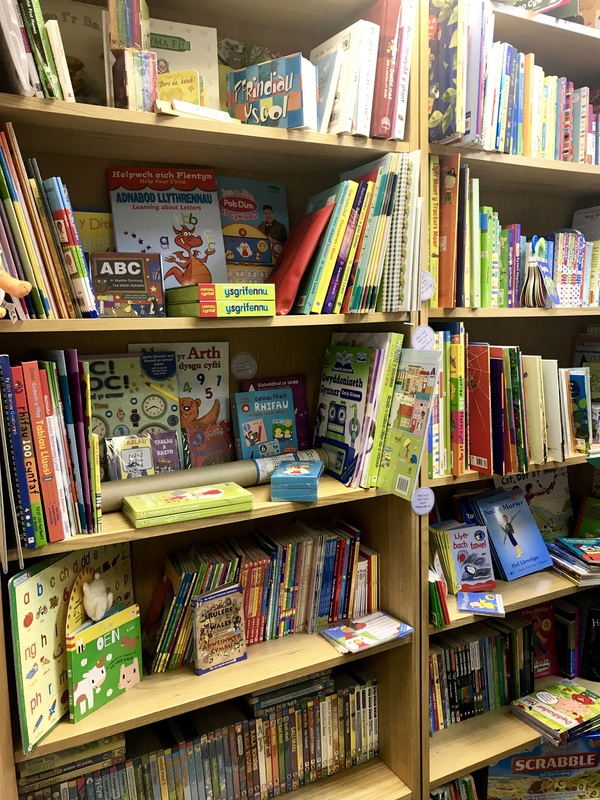 Most of the titles are available to order on the Cant a Mil website, but if you can call into the shop, then Jo is great at advising on titles to suit different age groups. 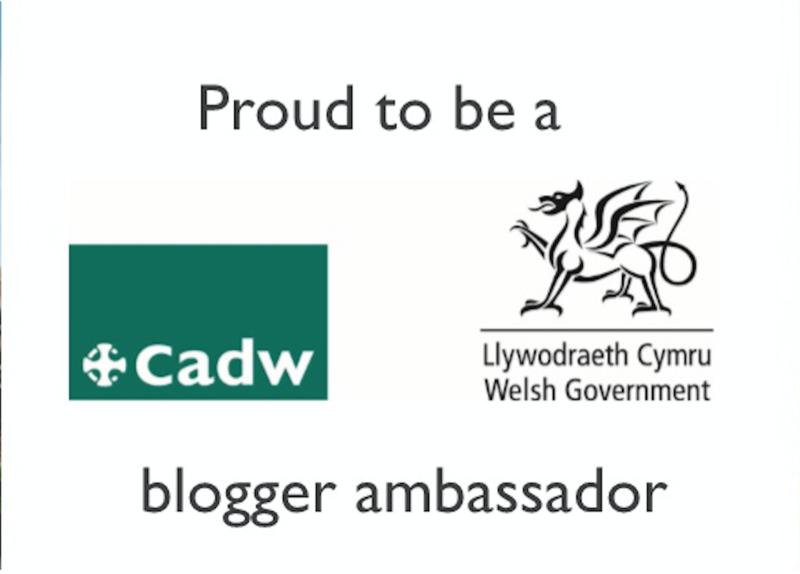 She also gives private Welsh language tuition starting at £10 an hour, as well as running a relaxed weekly drop-in conversational Welsh group every Wednesday from 1pm-2.30pm. 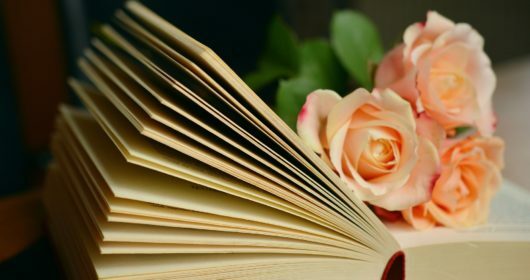 All age guidances for books are approximate, but are roughly broken down into 0-2, 3-5, 5-7, 7-9 and 9-11. 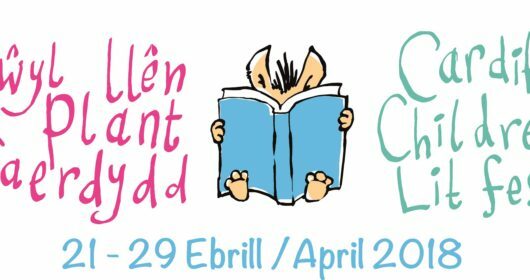 Please do add any recommendations for books your children have enjoyed, and what age you think they are suitable for, either in the comments below, on the Cardiff Mummy Says Facebook page or you can tweet me on @cardiffmummy It’s so useful for other parents to have recommendations. 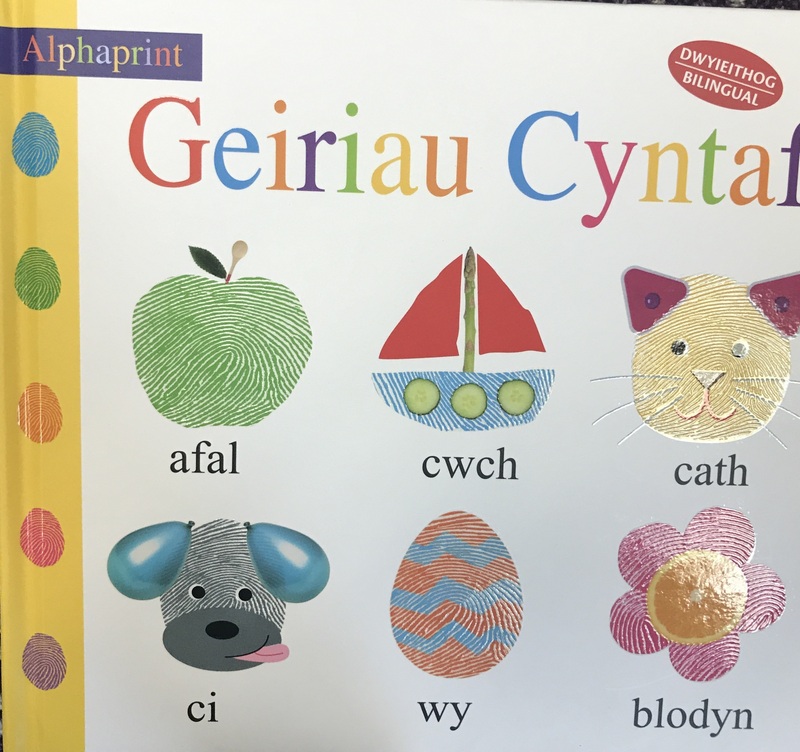 You can see all of our Cymraeg i Blant posts here. 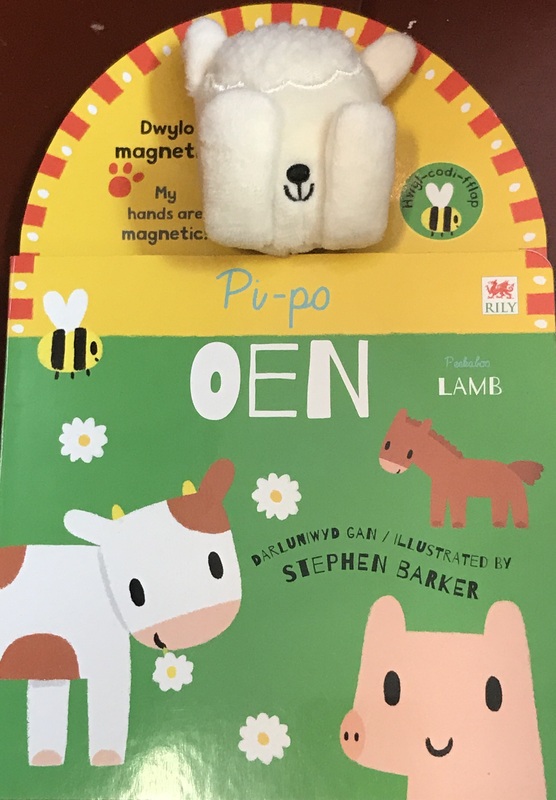 An interactive book for older babies and toddlers, this is part of the Pi-Po series, full of lift-up flaps and a plush animal head and arms. With different textures to touch and feel, baby can explore things you might find at the park. 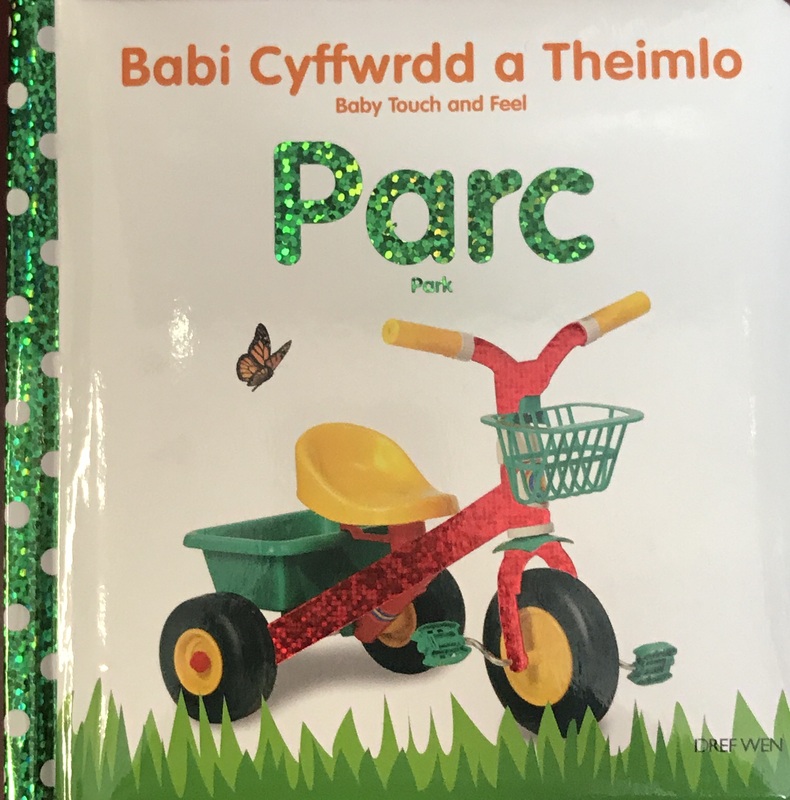 Part of the Babi Cyffwrdd a Theimlo / Baby Touch and Feel series of interactive board books. 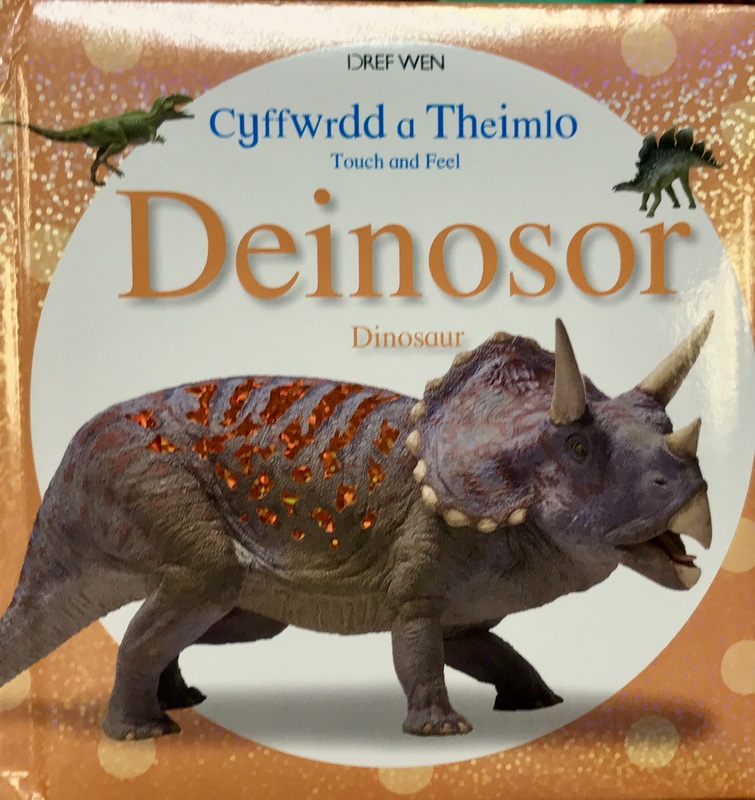 Part of the Cyffwrdd a Theimlo / Touch and Feel Series, little ones will love touching the bumpy scales, the smooth horns and sticky tongues of the different dinosaurs in each book. The colourful patchwork elephant is playing hide and seek. 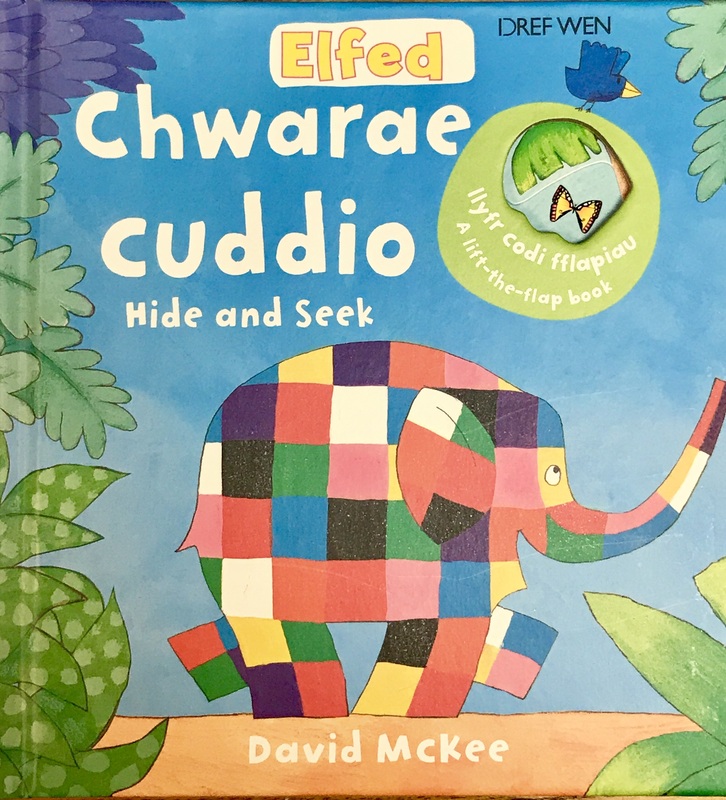 Help him find Bird by lifting the flaps to look behind the rock, among the herd of elephants and behind Elmer’s ear in this interactive board book. 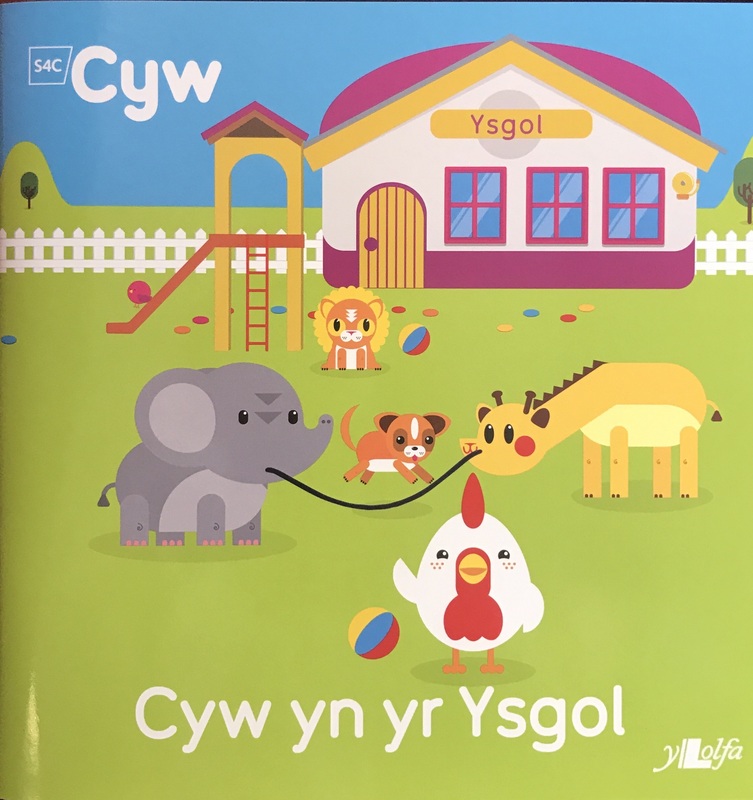 A great resource for parents who don’t speak Welsh, this first words book features the Welsh and English words for popular and useful objects. 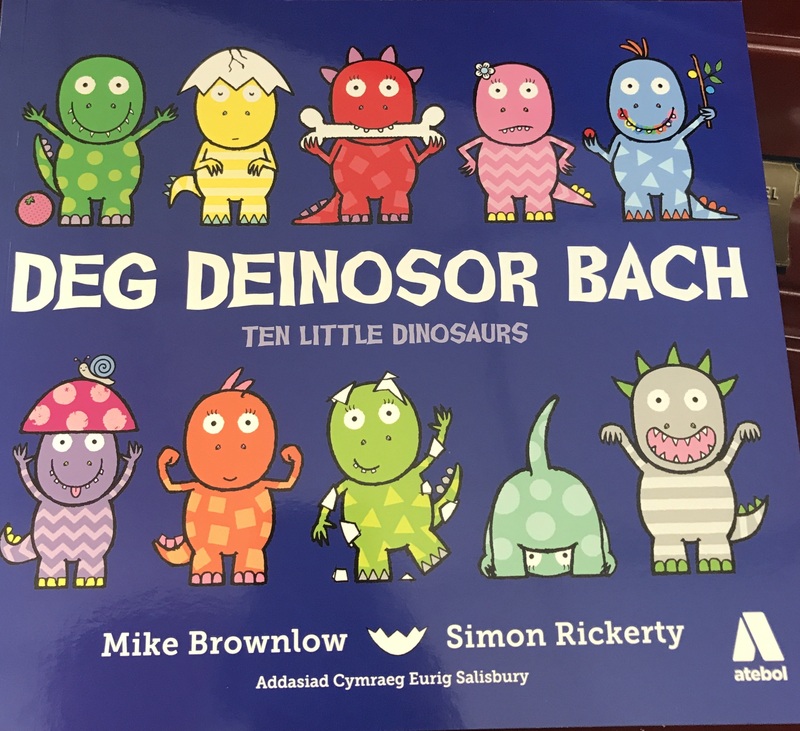 Bright and colourful illustrations and big bold text combine in this counting book as 10 little dinosaurs set out on an adventure. 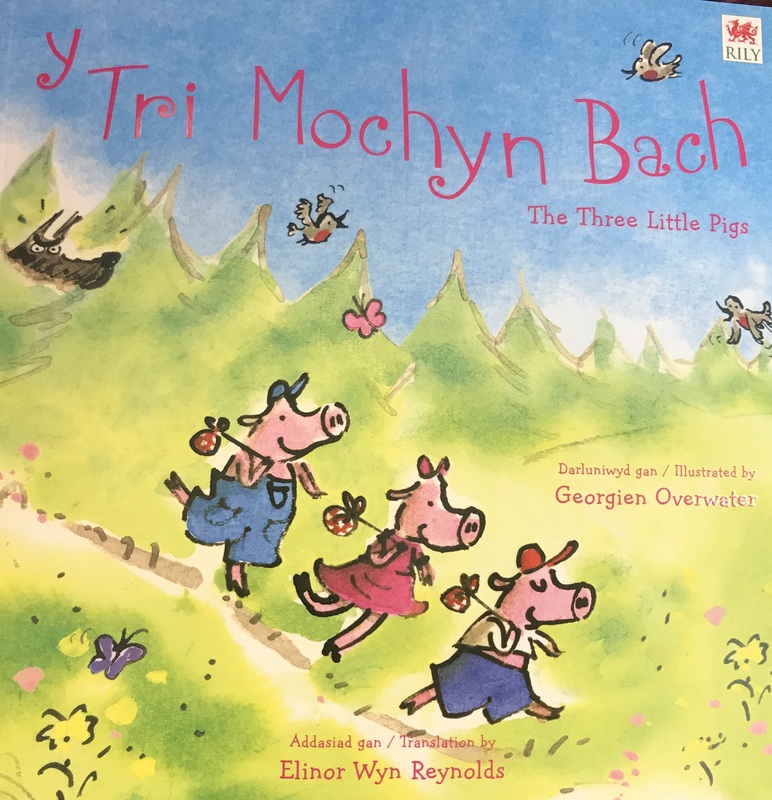 Written by former Welsh children’s poet Anni Llyn, this is one of a series of five books featuring children’s TV character Cyw. 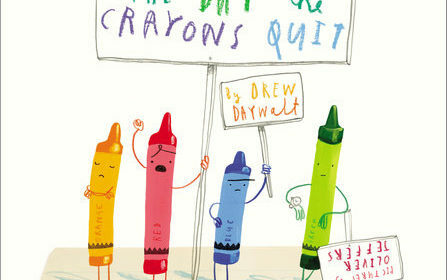 In this book Cyw heads to school and has so much fun he forgets to fill in his diary. 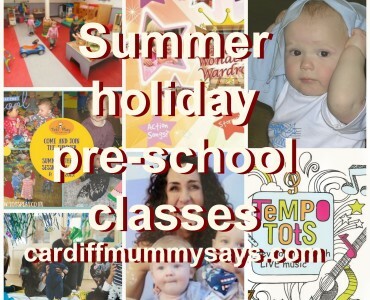 A great one for little ones about to start school. 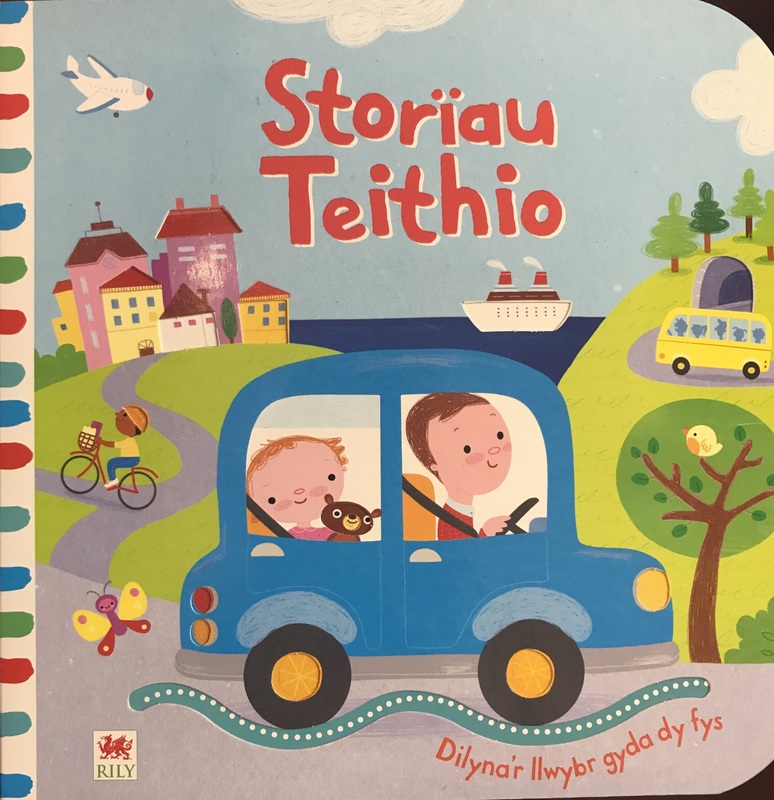 Part of the Follow the Path With my Finger series (Dilyna’s Llwybr Gyda Fy Fys), each page of this book on vehicles has grooved trails for little hands to follow and flaps to lift, helping to improve dexterity and fine motor skills. 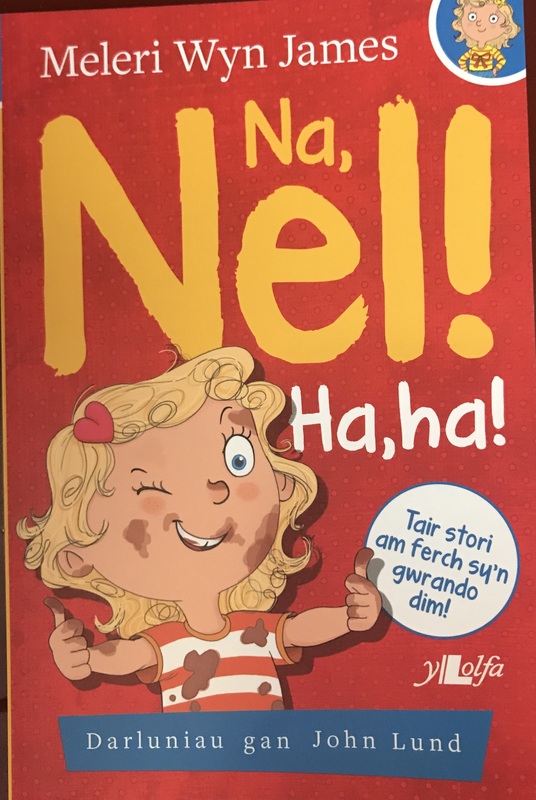 A welsh-only book but there’s an accompanying CD featuring the tales. This would make an ideal gift. 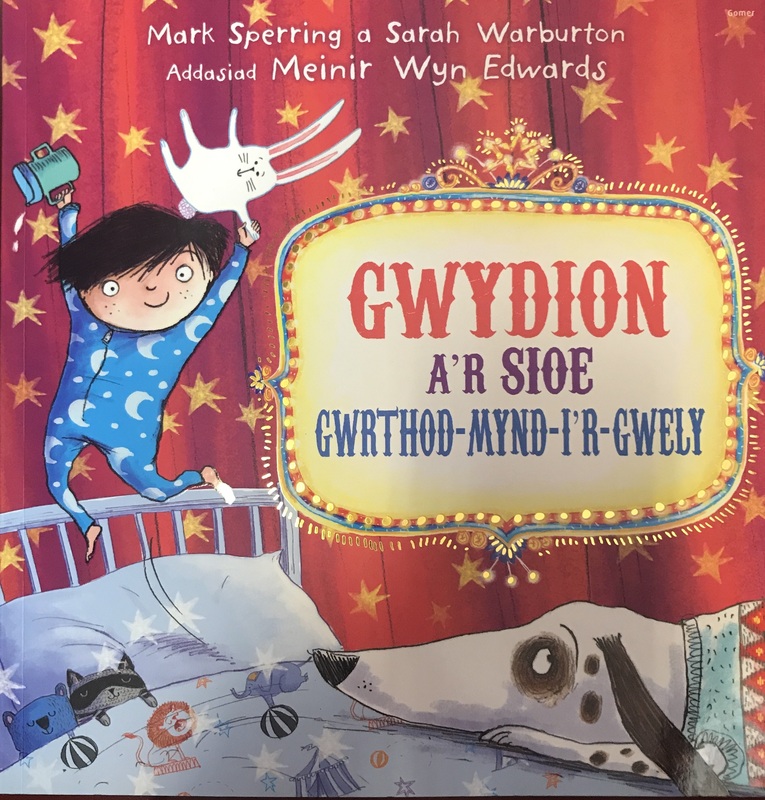 An adaptation of Max and the Won’t Go To Bed Show, which sees Gwydion putting off going to bed for as long as possible in a magnificent show. 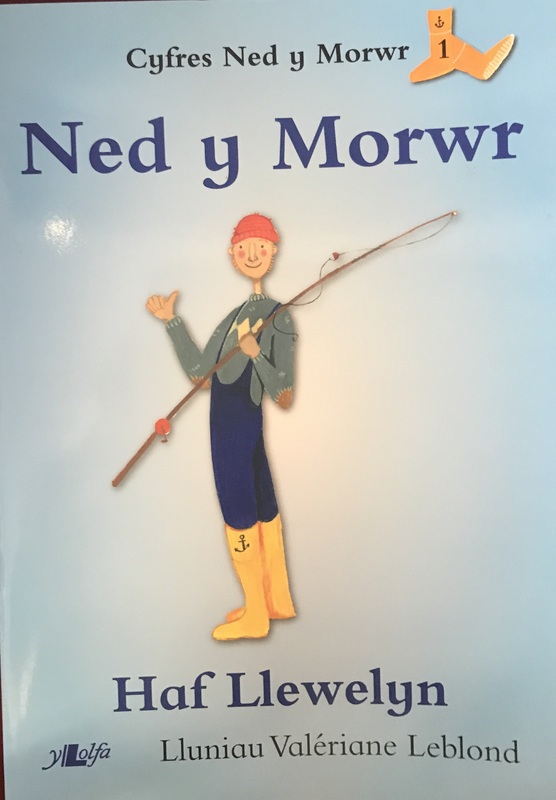 A great series for children beginning to read, the books about Ned and his dog contains simple words and phrases with plenty of repetition There’s also a list of key words at the end of each book. 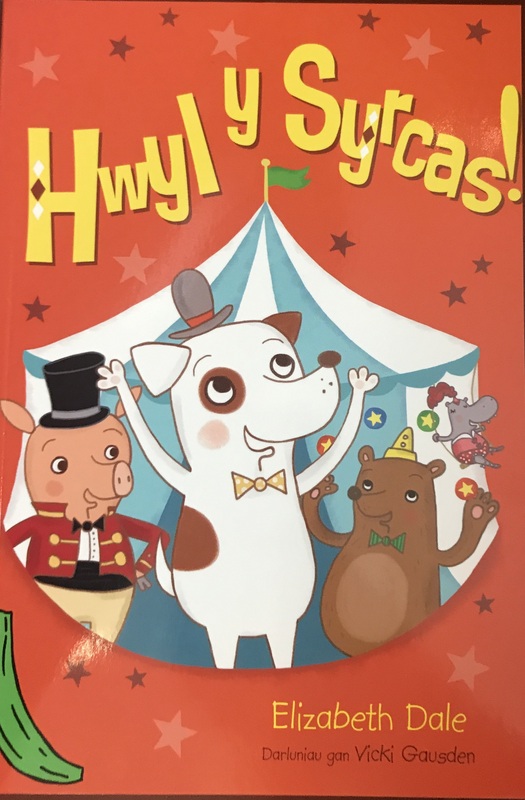 A vibrant and colourful picture book for children learning to read, this contains three stories about Coco the Clown, with simple text and speech bubbles. 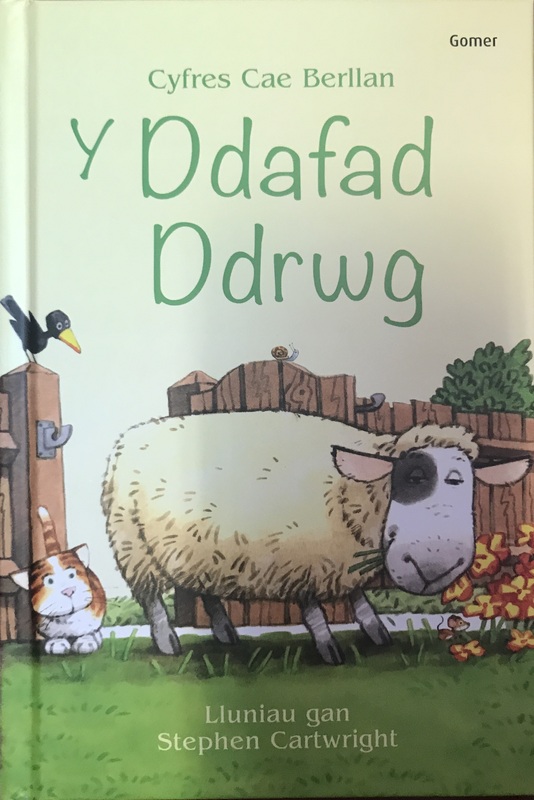 Follow Woolly the sheep as she escapes from her field, into the farmyard, and beyond in this charming short story, specially written, with the help of language experts, for young children who are just beginning to read. Exclusive ebook material includes a map of Apple Tree Farm, showing all of the places mentioned in the story. 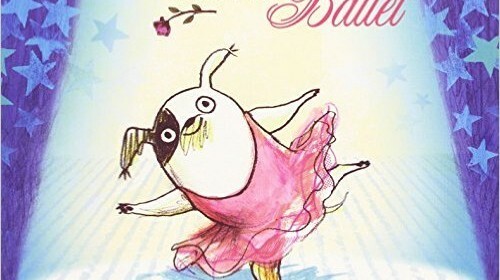 Don’t forget to spot the Little Yellow Duck on every double page. This is a highly illustrated ebook that can only be read on the Kindle Fire or other tablet. Two brothers climb over a barbed wire fence to play rugby in the field behind their house. 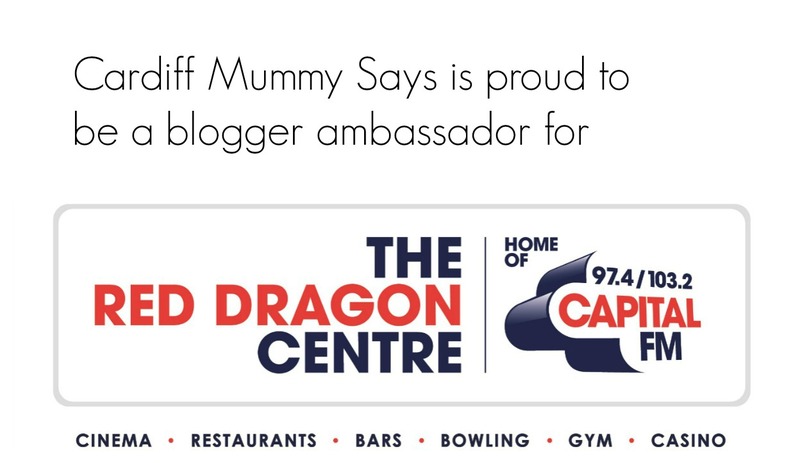 They imagine they are playing in the Millennium Stadium, as Wales take on England. 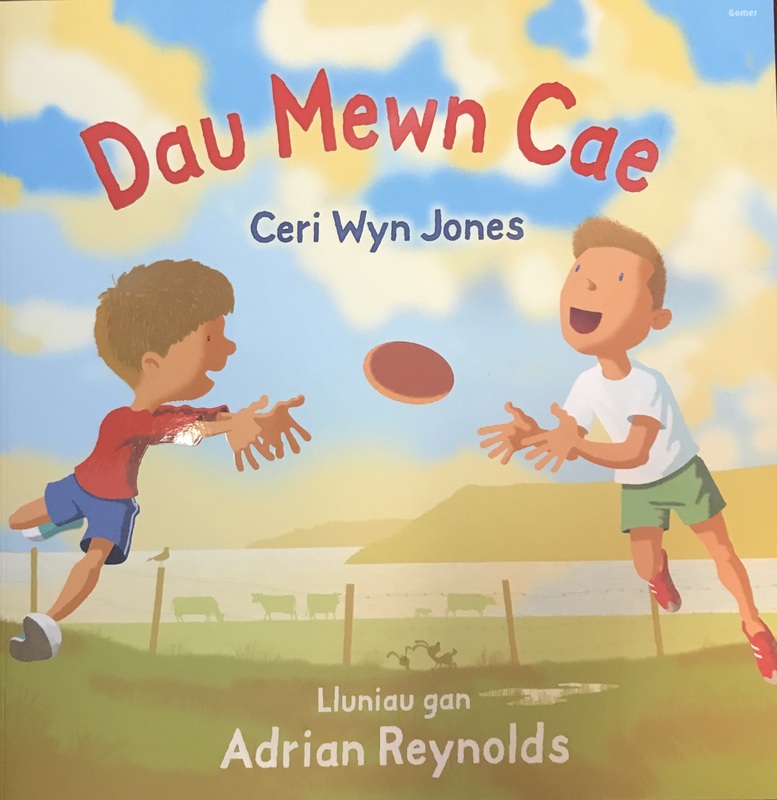 A great book for introducing rugby language to children. 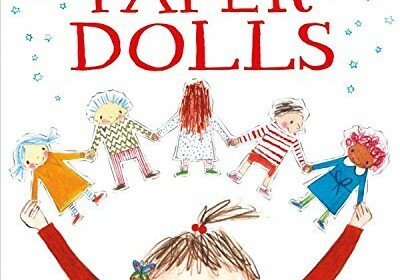 A great introduction to the popular series, with three separate stories about the little girl Nel with a penchant for mischief. One day Tad-cu decides to pack his bag and go for a wander in this funny adventure story. For more competent readers, some of the vocabulary here is a little more challenging. 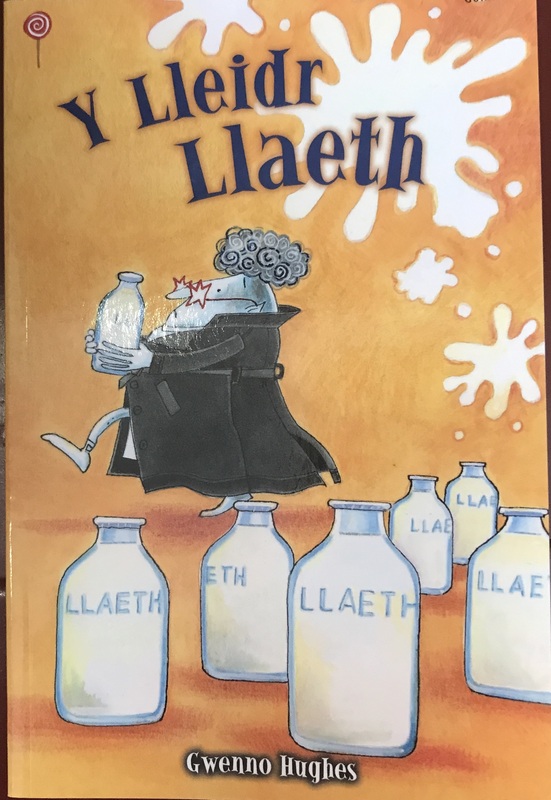 Deio and Dwynwen become detectives when milk bottles go missing. Short chapters, colourful pictures and manageable chunks of text on each page. 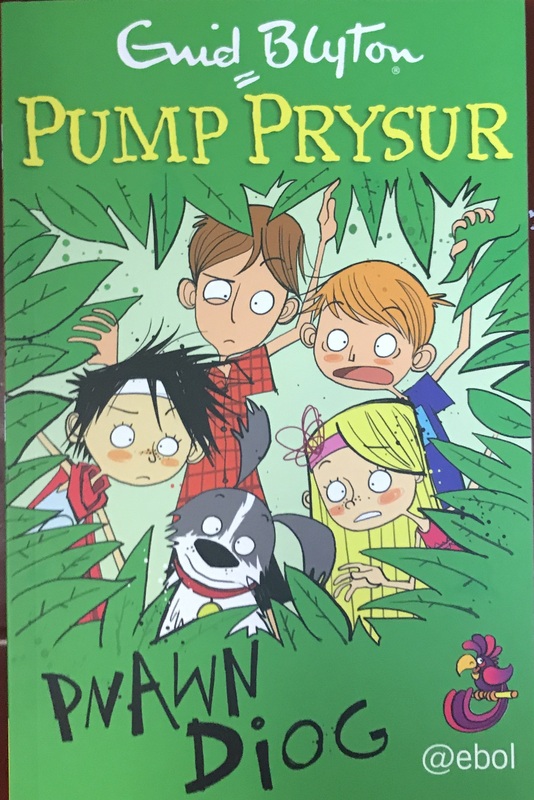 Siom, Dic, Jo, Ani and Twm are the stars of adventure series Pump Prysor, adaptations of Enid Blyton’s The Famous Five short stories. The five are enjoying a lazy afternoon… until the appearance of a group of men on motorbikes. 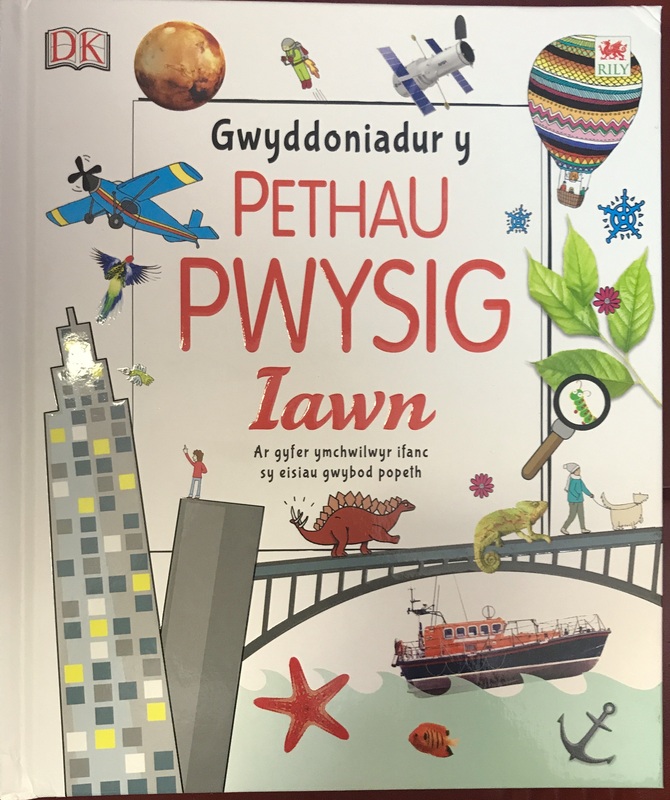 A colourful and accessible Encyclopaedia featuring facts about everything from the planets and space to under the sea and rainforests. 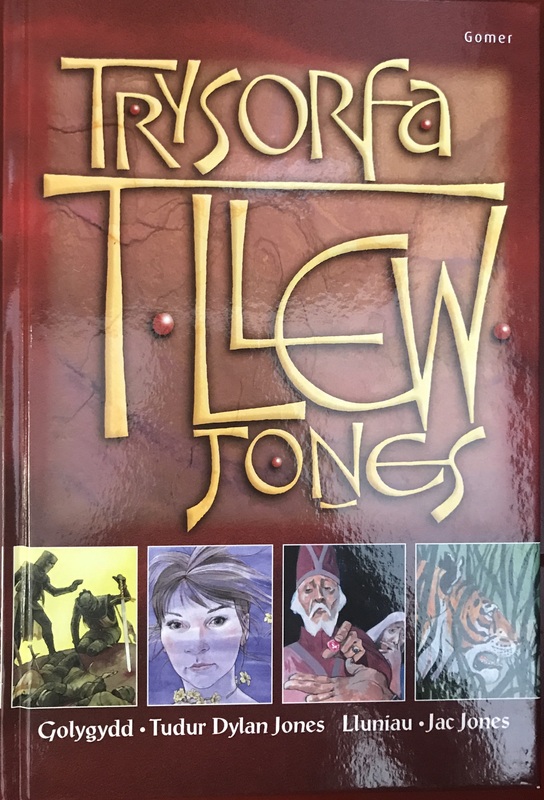 A hard-backed collection of short stories and poems from the famous Welsh children’s author, T Llew Jones. 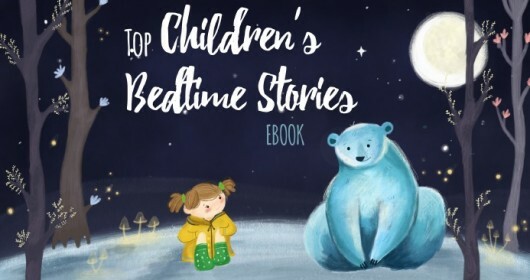 Popular as a gift, the 40 works here include imaginative stories, myths and poems, accompanied by 55 colour, and black and white illustrations. 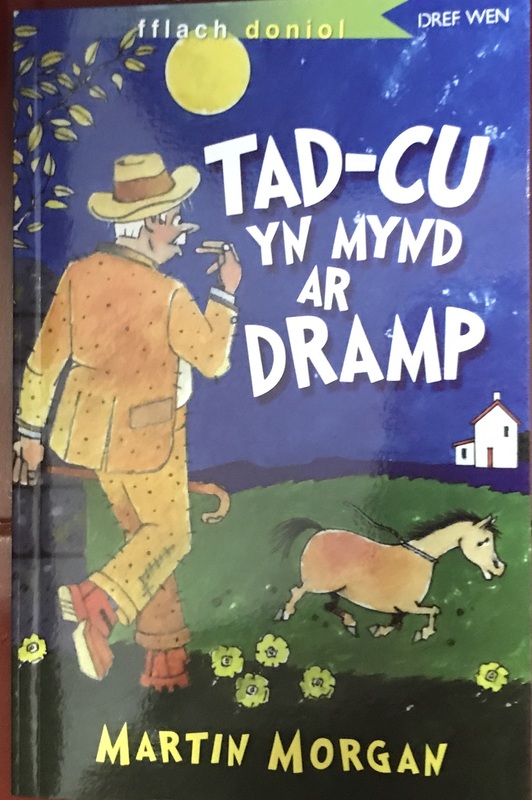 A mystery adventure book set on the Urdd’s most famous campsite, Llangrannog. 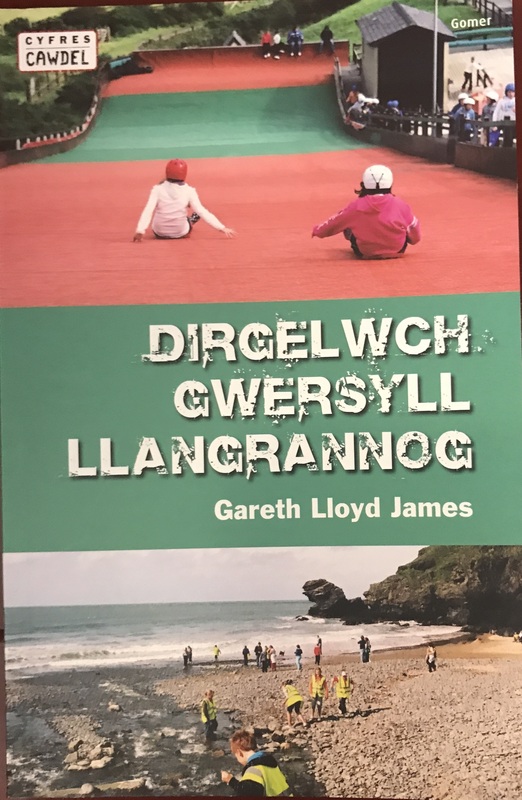 Part of the Cyfres Cawdel series of four, with one book set at each Urdd site. 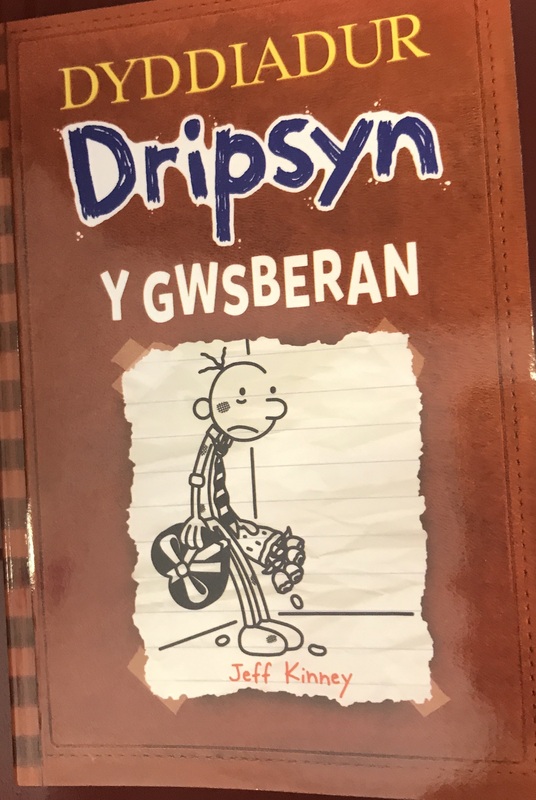 A Welsh adaptation of The Third Wheel, from the popular Diary of a Wimpy Kid series sees Greg without a partner for the Valentine’s Day ball. 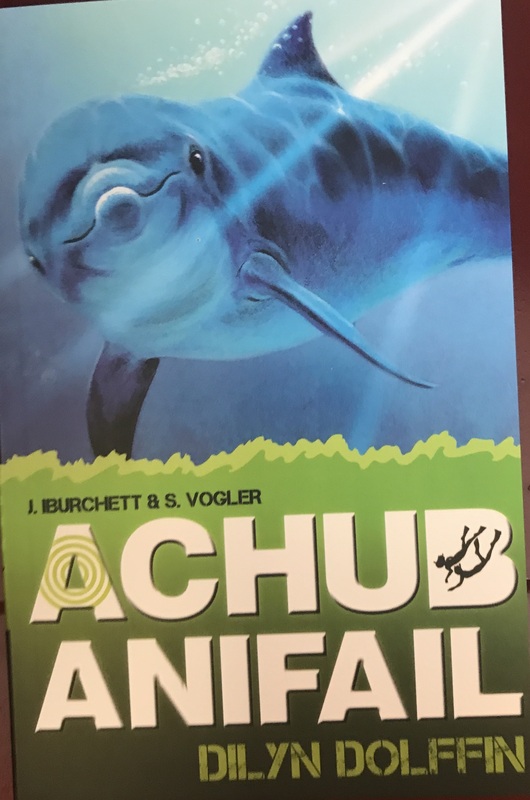 This popular fiction series Achub Anifal is an adaptation of the English Wild Rescue series. The books see Ben and Sara embark on a range of adventures, each one focussing on a different wild animal. This one is set in Mexico, where the owner of a sea park has dumped a young dolphin in the Caribbean sea. 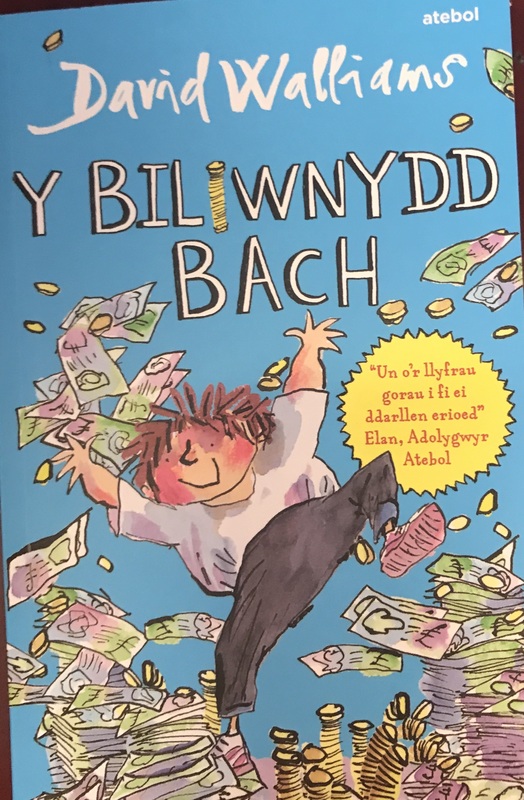 A Welsh adaptation of the best-selling David Walliams story Billionaire Boy, Twm Sglods is the boy who has everything… apart from a best friend. 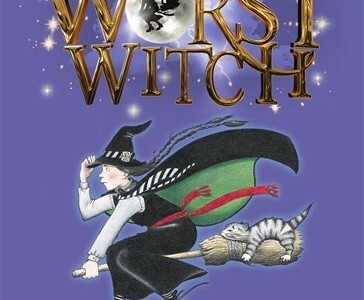 One of five adaptations of Walliams’ books. 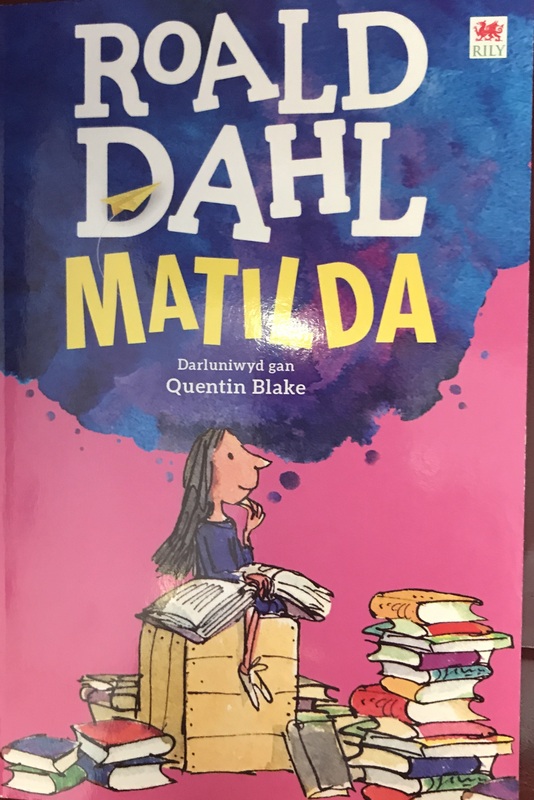 The tale of the little girl with the incredible reading ability and even more incredible magic powers is one of many Roald Dahl classics translated into Welsh.